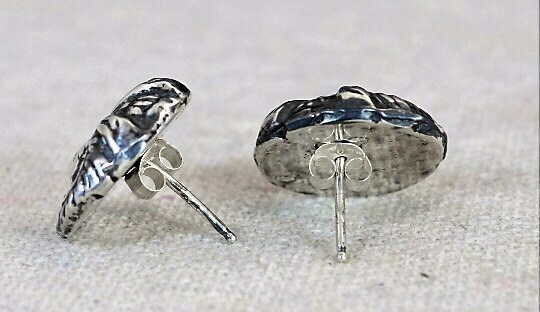 - Handmade 5/8" wide stud earrings made here in our studio. These earrings are created by the use of sand casting, a process dating back over 5000 years. 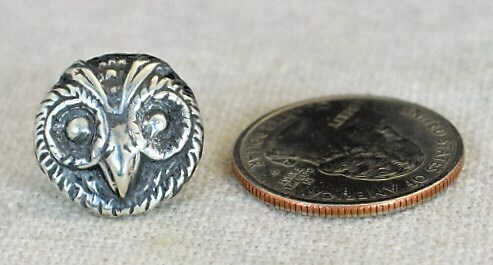 This unique focal piece is created using a casting of a Victorian button die. This ring is also available in Brass, Bronze, Copper, and Solid 10-18K gold. 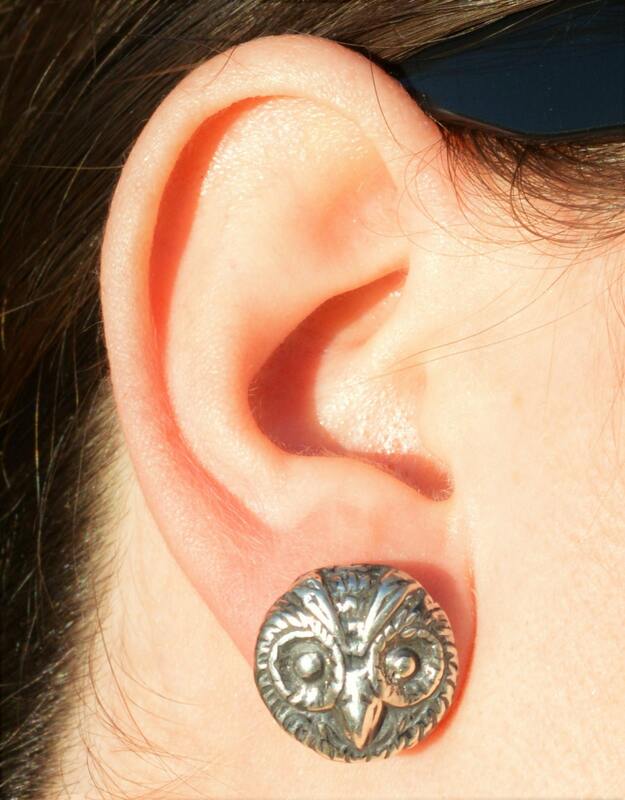 I can also set stones in the owls eyes starting at $36 extra. Message me for special requests! 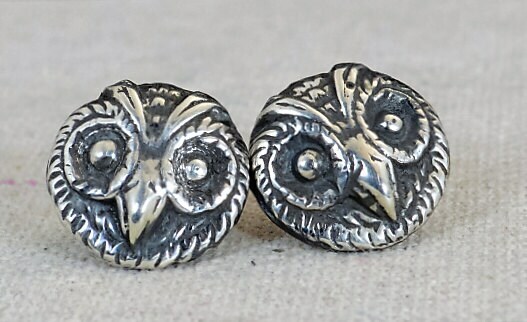 • The owls are 5/8" wide, and about 4mm thick. • Each earring weighs about 7g each.